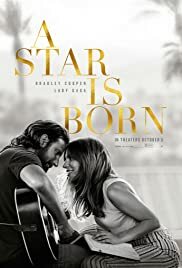 A Star Is Born is a remake movie of the same name, which features a hard-drinking country musician and singer Jackson Maine (Bradley Cooper) who is destined to become a successful entertainer. While he is having trouble with alcohol, he gets to meet this brilliant woman Ally (Lady Gaga) who is singing in a simple bar. Jackson Maine as a natural musician discovers that Ally has a potential to become great musician since she can write songs and sing as well. The movie is very inspiring, considering that because of Jackson’s encouragement, Ally just break the ice. Ally has always been in a box since she heard some critics in the past that people love her songs but her face does not blend to her music. Nonetheless for Jackson Maine, he told Ally that she’s the most beautiful girl she met and eventually become lovers and inspired one another. At first Ally is reluctant to sing in Maine’s concert since she wasn’t able to move from the past experience. Nonetheless when Maine told her to trust him and just sing before the crowd, the two great singers has shake the audience into shouting and applause as they blended together. This is Bradley Cooper’s debut on directing a movie and this also the first time Gaga to become the leading female of the movie and for sure this is going to be awesome.